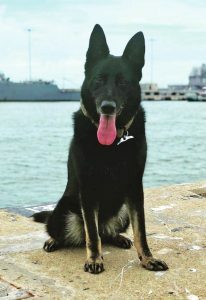 The Norfolk Veterinary Activity (VETAC) not only provides veterinary care to Military Working Dogs (MWDs) but also to Personally Owned Animals (POAs) of military families and retirees. Our team provides full medical and surgical care to all of our Military Working Dogs (MWDs) across five installations within Hampton Roads and comprehensive preventative care and sick call services for privately owned animals, by appointment. When do you PCS? We sign over 20 domestic and international health certificates weekly during peak PCS season and can help your pet prepare for travel! Contact Norfolk Veterinary Activity (VETAC) at 953-0350. Hours of operation: Mon-Fri: 8am – 4pm. Closed on weekends.